Thermal Paste is a substance or compound that is applied to the heat sink or processor that acts as an interface between them for better transfer of heat from the processor to the heat sink, which in turn helps in reducing the temperature of your processor. The processor can be a CPU, GPU or even an Integrated Circuit (IC) but here we will talk only about CPU and GPU. The main purpose of thermal paste is to fill the gaps that are left behind when you install heat sink on to the CPU or GPU. These gaps causes inefficient and improper heat transfer from the processor to the heat sink because air is a bad conductor of heat. A thermal paste is made up of filler material suspended in a polymerizable liquid matrix or suspension fluid. The filler is a compound or material with high thermal conductivity that helps in majority of heat transfer. Higher the thermal conductivity of a thermal paste, the better is its performance. Metals are on the top in terms of thermal conductivity but they are electrical conductive too which is a bit of a downside of metal based thermal compounds. This is because electrically conductive thermal paste may damage your processor, motherboard or other components by causing a short-circuit if it comes in contact with their pins or exposed circuitry. Even with the best of CPU Coolers or GPU Coolers, you may face temperature issues with your processor if the thermal paste dries / worn out or it is not of good quality. Also, you should get the best available thermal paste if you are into overclocking. Almost all the heat sink or coolers come with pre-applied thermal paste but many times it is not of good quality and you must always buy and apply a good thermal paste before installing any heatsink cooler. Thermal paste is also known as thermal compound, thermal interface material (TIM), thermal grease, heatsink paste, heat sink compound, heat sink grease. Let us now look at the different type of thermal paste based on their physical appearance, thermal conductivity and performance. Here are the various types of thermal compound or thermal paste then you can find in the market. Ceramic / Silicone based – These thermal compounds use metal oxides or ceramic powder suspended in silicone compound. They have good performance and are relatively cheaper than the Metal and Carbon based thermal compounds. The filler or metal oxides that are generally used are Aluminum Oxide, Zinc Oxide, Boron Nitride, and Aluminum Nitride, Silicon Dioxide. These thermal compounds are electrically non-conductive and are white or gray in appearance. The quality and performance of the ceramic or silicone based thermal paste depends on the type of metal oxide used along with other particles. Thermal conductivity of these heat sink compounds is pretty good and they are the top choice for anyone on budget. Pure Silicone thermal paste are the worst of all and should be avoided at any cost. Metal based – When it comes to performance then nothing can beat metal based thermal paste. These heatsink compounds use metal particles as filler and have much higher thermal conductivity. The most commonly used metal particles include Silver and sometimes aluminum. These thermal pastes are quite expensive and are used in high performance gaming PCs and for overclocking purpose. They are generally grayish or silver in color. Metal based thermal paste is also the top choice for application in delidding a CPU for replacing the stock thermal paste with a better one. Liquid metal thermal pastes are quite expensive and most of the time they contain Gallium which should not be used on an Aluminum heatsink or aluminum IHS (Integrated Heat Spreader). In general most of the Intel IHS are made of copper with nickel plating but AMD Threadripper IHS contains Tin and liquid metal thermal paste should be avoided on it. Also, metal based thermal paste should be avoided for sub-zero overclocking that involves liquid nitrogen for cooling down the CPU at negative temperatures before the overclock. The main disadvantage of metal based thermal compounds is that they are electrically conductive and capacitive, and you have to use them carefully on the CPU or GPU otherwise they can cause short-circuit and damage your components. These thermal paste have cure time of around 200 hours which is a bit of let down too. Carbon based – Carbon based thermal paste comes close to the performance of the metal based thermal paste. They use carbon particles such as Diamond power, graphite powder / graphite oxide as filler and sometimes they may contain ceramic powder too. They have high thermal conductivity, close to metal-based ones are also quite expensive compared to ceramic or silicone based thermal grease. They are generally grayish in appearance and are electrically non-conductive and non-capacitive. Hybrid Thermal Paste – Hybrid thermal paste contains mixture of different particles to form a single thermal paste. For example, a hybrid thermal compound may contain mixture of metal particles with metal oxides or some other particles that are not disclosed by the manufacturer itself. These thermal paste offers very good performance with almost no curing time, and they are generally grayish in appearance. 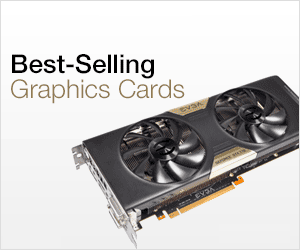 They can be expensive and are used for overclocking and by enthusiasts. There are various to apply thermal paste on the CPU or heatsink. The most common method is the Pea method where you put a pea sized amount of thermal paste on the CPU / GPU and then install the heatsink over it. After this the thermal paste gets evenly spread on the processor with the pressure and temperature. It is considered as one of the easiest and most efficient methods for thermal paste application. Other popular methods of thermal paste application include line, X and spread method which are also widely recognized and works pretty well. You can easily remove the existing dried out thermal paste from the heatsink using paper towels and cotton cloth dipped in 70% to 90% Isopropyl Alcohol. You should always clean and remove each and every trace of the older thermal paste to avoid any kind of performance issue in future. *Thermal Conductivity is the property of a material to conduct heat. It is measure in watts per meter-kelvin (W/(m⋅K)). *Some thermal paste have Cure time which is the time taken by the thermal paste to reach its peak performance and efficiency. Generally metal based thermal paste have cure time while ceramic, hybrid carbon based thermal paste have no curing time. Here are the best thermal pastes for CPU Air Coolers, AIO Liquid CPU Coolers, Laptop Heatsink Coolers and GPU Coolers. Some of them are preferred thermal paste for CPU / GPU overclocking. They offer best performance and lasts much longer than the average or cheaper thermal compounds in the market. Arctic Silver 5 is a legendary metal based thermal compound that has been around from quite a long time. This is a high performance thermal compound that can be used for overclocking and for achieving maximum cooling performance. It can be applied to both CPU and GPU. This is an electrically non-conductive thermal paste and contains 99.9% Pure Silver (micronized silver particles) along with Ceramic particles or metal oxides that include zinc oxide, aluminum oxide and boron nitride particles for durability and stability. It does not contain silicone and the suspension fluid is a proprietary mixture of advanced polysynthetic oils. The thermal compound is dark gray in color and is not too viscous. It has thermal conductivity of 8.9 W/mK and works with temperatures ranging from –50°C to >180°C at peak and –50°C to 130°C for long term usage. The company also states that the paste will not separate, run, migrate, or bleed during operation which I found to be true. The thermal paste is slightly capacitive in nature which means it has the property to retain some charge and should be avoided in contact with electrical pins, contacts or paths to avoid any future damage even though it is electrically non-conductive. This thermal paste has curing time of about 200 hours after which it reach to its full performance / efficiency and spread out evenly between the heatsink and the processor. In the initial stages it thins out to reach out to every gaps and then from 50 hours to 200 hours of use it thickens out to make a stable bond between the processor and the heatsink. It comes in a syringe and with 3.5 grams of thermal paste in this. This much of thermal grease is enough for around 5 to 6 applications on average. It also depends on the method you use to apply thermal paste because if you use pea size method then you can squeeze it to up to 10 applications. This thermal paste can also be used to replace the stock thermal paste in CPU delidding and it is also one of the best thermal paste for laptop. This high quality thermal paste is not that expensive and is highly recommended by me. Noctua NT-H1 is an advanced high performance thermal paste that can be used for both CPU and GPU. This is a hybrid thermal paste which is made up of different micro-particles that have extremely low resistance and excellent thermal conductivity. This thermal compound is gray in color and is electrically non-conductive and non-capacitive. It comes in 1.4ml capacity by volume and is suitable for around 15 applications. It has almost no curing time or burning time to set in as to reach its full potential or performance. Its peak operating temperature ranges from -50°C to +110°C and recommended operating temperature from -40°C to +90°C. This thermal paste can be used with CPU delidding and supports both copper and aluminum heatsinks. It is also great for overclocking and remains very stable during high temperatures even in the long run. The performance of Noctua NT-H1 is equal or a bit better than the Arctic Silver 5 thermal paste and that too with no curing time involved. So, if you are looking for top quality thermal paste with next generation technology then this is the one that you should get for your CPU / GPU cooling. Highly Recommended by me for enthusiasts and for normal use. Another high performance thermal compound that is in league of Arctic Silver 5 and Noctua NT-NH1. ARCTIC MX-4 is carbon based thermal compound that is composed of carbon micro-particles that have high thermal conductivity and are electrically non-conductive and non-capacitive. This is a multipurpose thermal paste and can be used with Air / Liquid CPU coolers, laptop coolers and VGA / GPU coolers. It comes in a syringe with 4g / 8g capacity depending on your choice. ARCTIC MX-4 is a very reliable and durable thermal paste as it will last at least 8 years which I think is remarkable and has the longest life compared to other thermal compounds. This is due to the fact that carbon particles have higher lifespan even under high temperatures. The paste is also not very thick or thin and has a moderate viscosity. It has thermal conductivity of 8.5 W/(mK) and is grey in color. Overall, it is a top-quality carbon based thermal compound for overclockers and enthusiasts. Thermal Grizzly is a German company that specializes in thermal compounds for professional use and overclocking. Here we have Thermal Grizzly Conductonaut which is new age liquid metal thermal paste that has exceptionally high thermal conductivity of 73 W/mk. This liquid metal thermal compound is made up of mixture of metals like tin, gallium and indium. This is the preferred thermal paste for extreme overclocking and CPU delidding. However, this thermal paste is not recommended for Sub-Zero Overclocking i.e. Overclocking using Liquid Nitrogen at extreme low temperatures. It is silver in color and can operate with temperatures in 10 °C to +140 °C. One thing that you must remember that this thermal compound should not be used with aluminum heatsink because it contains Gallium that reacts with aluminum and forms an extremely fragile and brittle material thus damaging your heatsink. So, if you using it with CPU delidding then make sure that the CPU IHS is made up of copper and avoid it completely with aluminum or tin based IHS. It comes with two Isopropyl alcohol (70%) pads and applicators that looks like cotton swabs. The paste is a bit messy to apply because it is a bit viscous and requires a bit of effort to spread it evenly on the processor by the bundled applicator. The thermal grease is silver in appearance. This high-performance liquid metal thermal paste is on the expensive side but for enthusiasts and overclockers it would not be a matter of much concern because of its top-notch performance. 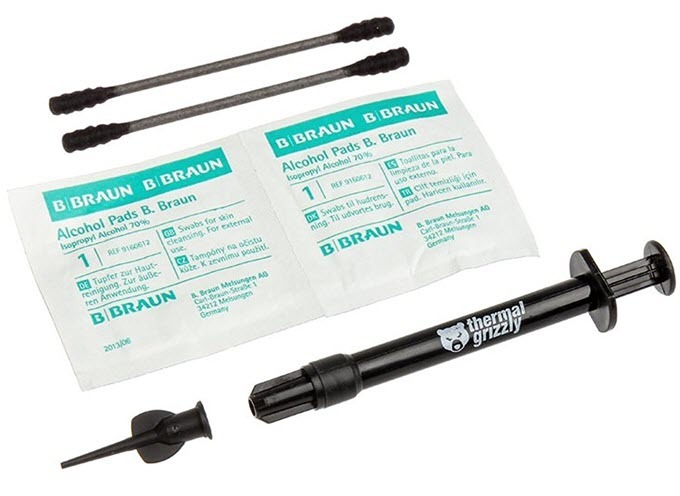 It is available in 1 gram Syringe and can be used to 5 – 6 times. For enthusiasts and overclockers this is the best thermal paste you can find in the market right now. GC-Extreme Thermal Compound is high performance thermal compound from GELID Solutions Ltd., which is a Hong Kong based company and manufacturers computer case fans, industrial fans, CPU and VGA coolers, thermal compounds and other accessories. GC-Extreme is a Silver based thermal compound having thermal conductivity of 8.5 W/mK, which is very good for non-metal based thermal compound. The thermal paste is Non-Electrically Conductive, Non-Corrosive, Non-Curing & Non-Toxic. This thermal compound is white in color and is pretty easy to spread on the components. 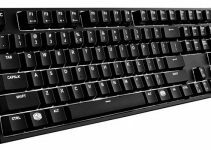 It can be used on CPU, GPU, Motherboard and other Chipsets. 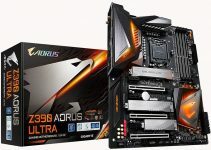 The performance of this thermal paste is at par with the Artic Silver 5, Artic MX-4 and Noctua NT-H1 and has received praise by popular hardware websites such as Techpower Up and Fudzilla.com. The operating temperature range is from -45 to +180 degree Celsius, which is remarkable. So, if you want to try something other than Artic, Noctua, Thermal Grizzly or Cooler Master then GC-Extreme will not let you down. It comes with a thermal paste applicator for easy application. Recommended by me. Thermaltake TG-7 is carbon based thermal paste with diamond power as main ingredient. It is an average thermal paste that has thermal conductivity of 3.3 W/m-k and is good for normal desktop PCs and laptop application. It does not conduct electricity and is also non-capacitive. This thermal compound can be applied to both CPU and GPU but if you have a high-end GPU then I would advise you get something better from brands like Arctic or Noctua mentioned above. The paste is light grayish in color and it comes with a spreader for easy application on to the CPU or GPU. The working temperature range is -50°C to +250°C which means it can really withstand really high temperature and has longer lifespan due to it. It comes in syringe with 4gm net quantity. Not the best thermal paste around here but good enough for normal use and don’t use it for overclocking purpose. This is another gem of a thermal paste from Thermal Grizzly. Thermal Grizzly Kryonaut is high performance thermal paste for both CPU and GPU use. This is a hybrid thermal paste that includes nano-aluminum- and zinc-oxide-particles. It has thermal conductivity of 12.5 W/mk which is significantly greater than the Arctic Silver 5 and Noctua NT-H1, which are the two most popular thermal compounds in the market. The operating temperature of this thermal paste is -250 °C / +350 °C, which makes it as one of the best thermal paste for both Traditional Overclocking and Sub-Zero Overclocking. The thermal paste is grayish in color and is electrically non-conductive and also non-capacitive. 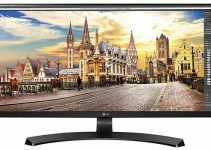 It is a bit on the expensive side but you will not regret paying the extra bucks because of its amazing performance at both low and high temperatures. It is also a long lasting thermal paste and has non-curing time. Also, it can be applied to both aluminum and copper heatsink unlike the Thermal Grizzly Conductonaut liquid metal thermal paste. So, if you are into overclocking and can’t afford the expensive Thermal Grizzly Conductonaut then Thermal Grizzly Kryonaut is a perfect choice for you. Highly Recommended by me for Overclocking and Sub-Zero Overclocking. 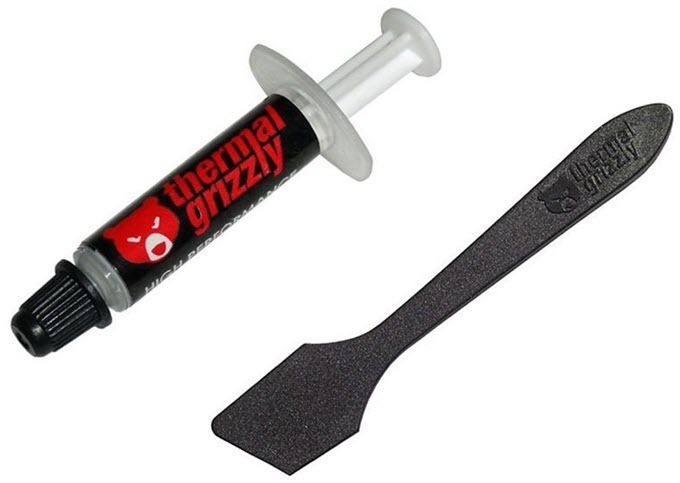 Thermal Grizzly Aeronaut is a regular thermal paste having thermal conductivity of 8.5 W/mk. It is a decent thermal paste that contain some metal particles along with other fillers. This thermal paste is good for mainstream PCs, mid-range gaming PCs and can be applied to both Aluminum and Copper CPU / GPU heatsinks. The operating temperature for this gray colored thermal paste is around -150 °C / +200 °C which means it can really withstands high temperatures is pretty durable in the long run. 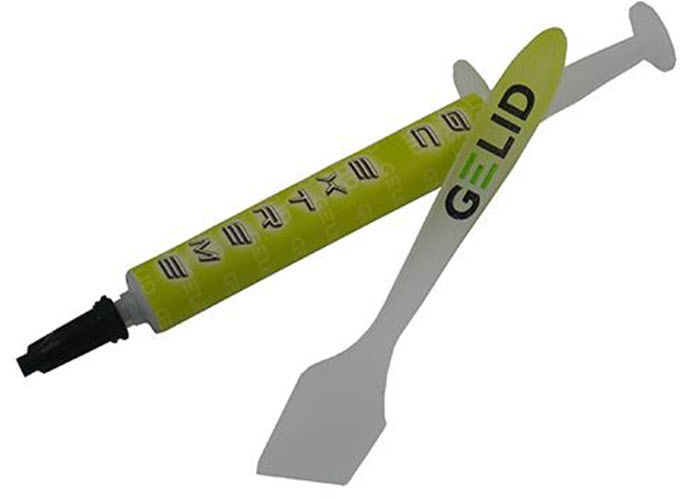 It comes in 3.9gm syringe with a dispenser tube like applicator that attaches to the end of the syringe. This is an electrically non-conductive thermal paste with no cure time. The paste has just the right viscosity and it is pretty easy to apply. Here are some of the best budget thermal paste that you can use with your processor for both Desktops and Laptops. These are mostly Silicone / Ceramic based thermal paste and offers good performance for the price. At the end I would only want to say that you should never ignore the importance of a good thermal paste because it can do wonders to your CPU or GPU temperatures. There are also cheaper and unbranded thermal compounds available online or in the market but you should always stay away from them. The above mentioned thermal pastes are reliable, trustworthy, durable, branded and delivers excellent performance in keeping your processor temperatures in check. For extreme overclocking you may want to get metal based or liquid metal thermal compounds that may cost a little extra. For everything else carbon based and hybrid thermal compounds works great and they offers performance nothing less than the expensive metal based ones. If you have any queries regarding which thermal paste to choose for your CPU or GPU then please ask your questions by leaving a comment below. I’m having Dell Latitude E6530 laptop with Nvidia NVS5200M Graphic card. When i try to use software Reality Capture it gives me error which is caused by GPU overheating. Which thermal paste would you recommend me to try fix that problem with? I suggest you to go for ARCTIC MX-4 thermal paste.